Not all projects have the potential to make you feel like you’re making a difference in this world, but after 18 months of blood, sweat and tears alongside my design and branding cohorts at studio analogous, I’m proud to announce the launch of the new Inter-American Development Bank (IDB). We work to improve lives in Latin America and the Caribbean. “Improved lives” is the result of operational projects that come in all shapes and forms, funded multilaterally by member countries throughout the world. 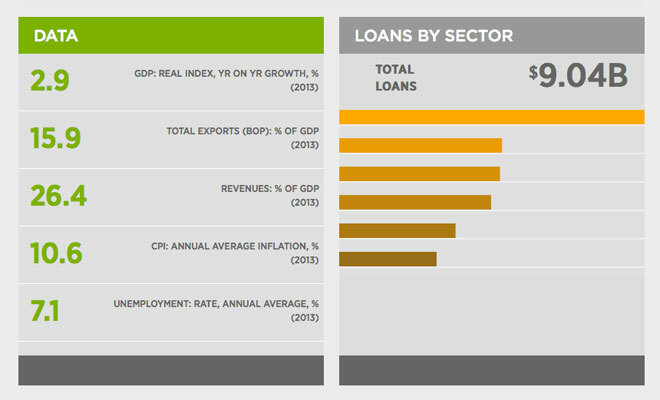 Essentially, the IDB pinpoints localized projects, and funding is provided to manage green-lit projects through to completion. In order for the website to successfully present the numerous narratives, statistics and data that embody the IDB mission, we began by centering on the core needs of a handful of key design personas. After synthesizing the requirements for each section, we designed a shallow and narrow navigation system, as well as a flexible pattern for sectional navigation, which we used in different areas of the site to allow for deep dives without losing key task context. 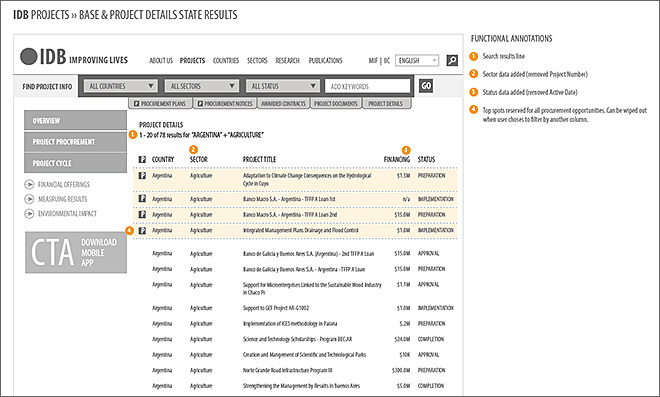 The most complex area was the Project section, as the previous site had numerous single database search interfaces spread throughout the site. Our solution involved a persistent navigation device to allow for instant browse and specific project-object related queries. While the corporate site isn’t a strong candidate for a heavily infused social layer focusing on comments and sharing, IDB has a growing community of domain experts posting to a separate blog presence regarding sector-based work in Latin America and using twitter and Facebook to spread the good word of their work and connect with interested folk in the region. We felt it was important to share those voices both on the homepage and throughout the site when post attributes overlapped with sectional attributes. It’s far too early to know if the redesign has impacted usability, traffic and the underlying ROI. If/when that feedback comes in, I’ll follow up with a post along those lines.